Update on Lesley- She is still in the hospital. They continue to run test to find out what is causing so much nausea. Continue to pray for comfort, strength to keep fighting, and the knowledge of the doctor's she's working with. My list continues to grow, but it's far from my original goal. If you haven't yet pledged the $1 per mile run on Saturday, please consider doing so. I'm only asking for a very small donation from each person that can add up to so much. The is a great family in much need of some peace of mind. Last night in my extreme tired state of mind I believe I left a few pledger's off my list! So here is an update list through this morning! It's a great feeling to wake up with a sore, tired body and see a few more jumping on board. THANK YOU! Tonight I logged 8 miles on the treadmill (a combination of running and what I call sprint walking) because the weather was not very nice out.....HORRIBLE. But survived. Update on Lesley-She is back in the hospital because she continues to be sick. Prayers would be much appreciated for her. There is still time to join #PayItForward$1. Don't miss out!! Continue the prayers, support, and donations. Good news the YouCaring site is back up and running. The bad news, the first one did get wiped from the system which is why the new is starting at $0 and doesn't not list any prior supporters. Lesley will have access to all money donate prior to even though it does not show. If there is anyone who had donated originally and you name was listed on the supporters page and you would like it to be re-listed on the page, please email me by Thursday at 5:00 pm I will try to get them back on there. For those that have share the link, please go back and share from the new site to be sure it links to the right page. Sorry for the inconvenience, but I am glad to get it all worked out. Thanks for all your support and prayers thus far. Please continue to donate, share, and pray. I thought I would check in tonight to give everyone an update on a few things. First and most importantly, I believe the YouCaring sight is having a glitch right now, so if you are trying to donate for Lesley hold off until I can get it figured out. I have already been in touch with YouCaring and I will let you know as soon as it's back up and running. Sorry for the inconvenience. Second, we here at Schaeffer/Tice would like to send our deepest sympathy Reimann, Rau, Beitelspacher families. We will continue to keep all in our thoughts and prayers through this hard time. Nick was a friend and partner here at Schaeffer/Tice and we are genuinely touched by his legacy. We are fortunate to be part of such a close knit industry. Next up is an update on Lesley. She is finally home from the hospital, however home from work as well. Lesley's counts are low and she is very tired. She is waiting on a call from her oncologist on how to proceed. Continue to pray for Lesley, Kevin, and Ashton. And now for the update on #PayItForward$1-Shortly after getting to work this morning I received the first pledge for $1/mile for the Mini Marathon run. Throughout the day I received 5 more pledges. Thank you to those posting on my Facebook page. I've decided this week that it would be in my best interest to skip the gym after school and head outside to put the much needed miles on my shoes to prepare for this weekend. Tonight I ran 5.84 miles :) Far from 13.1, but it felt great to get that far. As for the rest of you, this pledge is going to take less than $13. I'm not asking for much, but I am asking for your support. Consider jumping on board with the rest of them and donating $1 for each mile ran in the Indy Mini in honor of Lesley. (See the pervious blog for more details). Take the pledge with me and post it on my Facebook or Tim's Twitter (@tssc121). Thank you to the following early pledgers for getting through five miles today! You are awesome motivation! Tomorrow's activities include getting the site glitch free (I'll post when that is), logging a few more miles on the shoes, and coming up with a lot more pledges. Continue to pray and help spread the word. Last Monday I made the spur of the moment decision, but not completely random, to participate in the Indy Mini Marathon (13.1 miles) on Saturday, May 3rd. Participating in a mini marathon is something that I had placed on my Bucket List awhile back in hopes to one day in the next five years be able to check it off. I know, your thinking Bucket List....However life is too short as we all know and this is one of those things I wanted to do in my "prime". While driving to school last Monday I heard on the radio there, very surprisingly, were still spots open. I felt that this was my sign it was going to be THIS YEAR, as in LESS THAN A WEEK. Now, before you tell me I'm out of mine my mind, I'll tell you that I already know that. Exercise is my "go to" daily and I feel as if at this point in my life I'm in pretty decent shape....NOT 13.1 miles run shape, but enough to make a pretty good effort at it. After Tracy and I decided on our #PayItForward for Lesley, I spent the rest of the weekend trying to think of ways to get others on board and give back. At my expense, and because I am in need of some strong encouragement and prayers myself, I have decided to participate in the Mini Marathon this weekend in honor of Lesley. It's simple, when you feel you can't fight anymore, someone has already conquered the battle ahead. We are not alone. Now comes the idea. I have 882 Facebook friends and Tim has 965 Twitter followers. I feel as though I have set a reasonable and hopefully achievable goal for myself to run at least 7 of the 13.1 miles. Remember I kind of missed the training program. :) Which means if every one of my Facebook friends and Tim's twitter followers donated $1 for every mile ran to Lesley's YouCaring fund and I run 7.0 miles we could raise $12,929... WOW!!! I challenge you to pledge $1/per mile ran to Lesley's YouCaring fund. You can do this people... I need the encouragement and Lesley needs the strength to continue to fight. Here's how it will work. I'm going to ask you to make your pledge on my Facebook page or Tim's twitter page by posting #PayItForward$1 on my wall or tweeting #PayItForward$1 to Tim. It's going to be a long week of running, so I'm going to need your encouragement for myself early! On Saturday I will post the total miles ran and you have two options 1) You can donate directly on Lesley's YouCaring Page (title: Lesley Willis Medical Fund) or 2) send the money to me and I will make one donation in honor of the Mini Marathon accomplishment. THAT'S IT FOLKS..... It's a maximum of $13 total, which I can assure you that you will not have to dig that deep in your pockets! I am hoping you, each and EVERY ONE of our social media friends and then some, will take the pledge with me. Show Lesley your love and please don't let me "run" alone!!! If you need to find us on social media, you can find me, Emily Schaeffer, on Facebook and Tim @tssc121 on Twitter. I hope you will support me while supporting Lesley. As always continue to pray, donate, and share. I met Lesley a few years back. 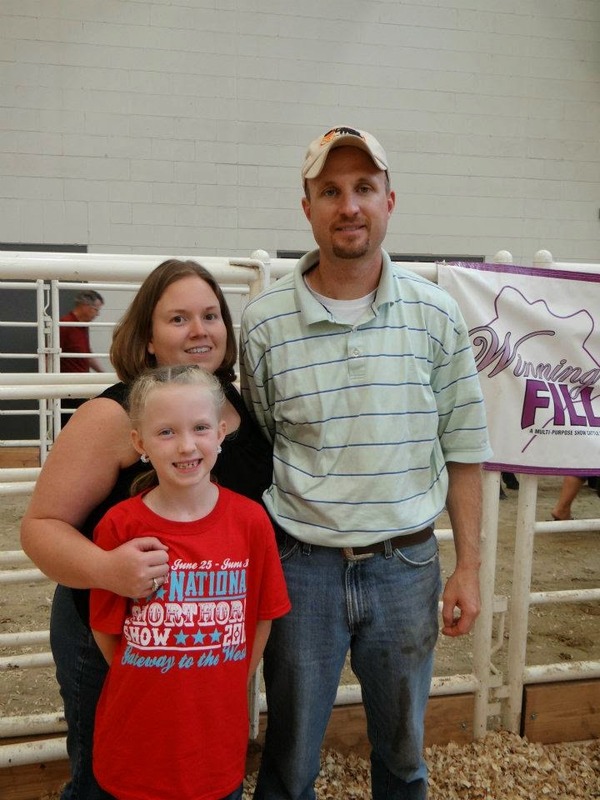 She along with her husband, Kevin, and daughter Ashton, bought a steer out of the Schaeffer/Tice pasture sale. 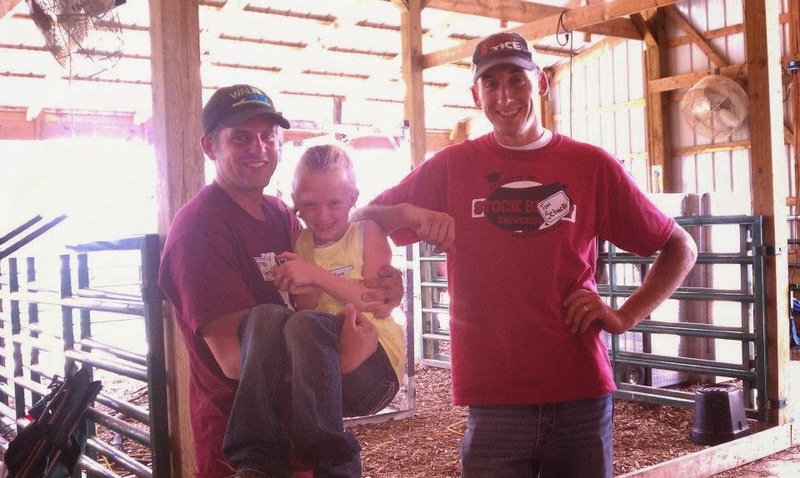 Our family quickly become friends and Ashton named the steer "Paul" after the one and only Paul Schaeffer :) Lesley has catered our pre-sale meals the past few year as she is a wonderful cook! Those who have attended I'm sure you would agree. Tracy has since worked with Lesley at Covance and they have formed a pretty special friendship. Lesley and Kevin have become the much needed friends that the entire Schaeffer family needed. 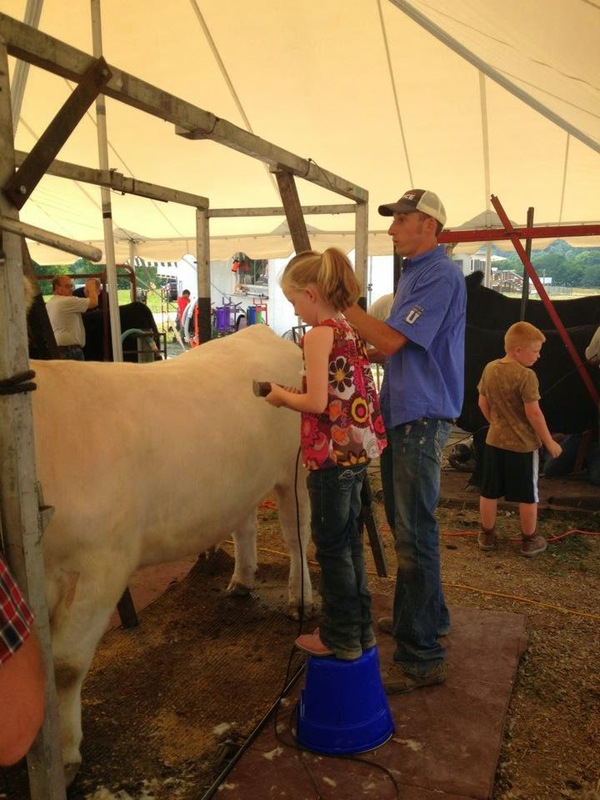 Ashton, 10 years old, loves to show cattle, play basketball, and is currently in softball season. Now I need to share with you some background of Lesley. The true battle began March 15, 2005 when Lesley was diagnosed with Synovial Cell Sarcoma. At the time the mass was attached to one of her kidneys. The kidney has to be removed and chemotherapy was started. Chemo was completed in August of 2005. A cancer clean bill of health was given at that time. After more than seven years of being cancer free, the battle was back on. 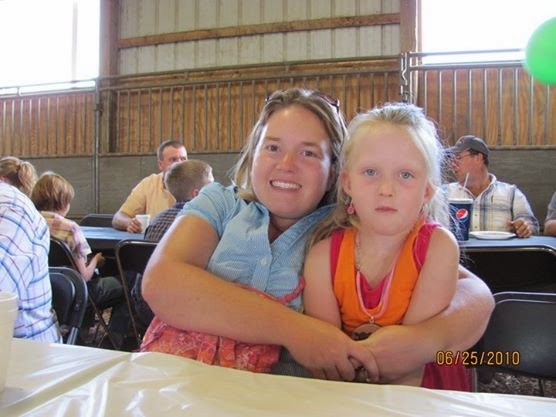 Lesley was diagnosed on January 8, 2013 with a recurrence of Synovial Cell Sarcoma. This time the mass has been found in the upper left lobe of her lungs. Now I bring you to today.... After a long year of surgery and chemo, Lesley was able to return to work this past January while remaining on chemo. Lesley not only has been cursed by the terrible "c" word, but continues to face set backs in life. While on her way to see her dad after an operation her car broke down. And more recently Kevin's car has become problematic as well. I cannot imagine the "cost" financially, physically, and mentally of cancer, but I do know that it takes a strong person to continue to fight the battle. Lesley, Kevin, and Ashton have continued to fight for so long. Here come's our Pay It Forward.... Tracy and I have set up a YouCaring account for Lesley and her family. Their medical bills are steep including medication, sugary, doctors appointments. Although Lesley and Kevin continue to work, Lesley has not been feeling well enough to stay at work. After continuing to be sick, Lesley was recently admitted back into the hospital. I don't ask for much my social media friends, but Tracy and I are asking you out of the kindness of your heart to help this traffic family. They deserve a break and at least a little comfort in this long road ahead that they continue to fight. It takes very little. You simply can click on the link below and donate to Lesley, Kevin, and Ashton whatever you can provided. Every little bit helps as you know. And as we have all witnessed the power of great people in this world are making miracles happen. Please donate what you can and at most PRAY. God can certainly work miracles and I encourage you to pray for Lesley and her battle. The team here at Schaeffer/Tice, along with Tracy and I, encourage you to help us in our Pay It Forward project. This family is very deserving. If you have questions feel free to email me at teschaeffer@gmail.com. Thanks for your support! Give and PRAY for a great cause. April 6th and 7th, 2014. Bids close at 8:00 pm EST Horse Race Style Closing Format. Bidding is currently open for this sale. 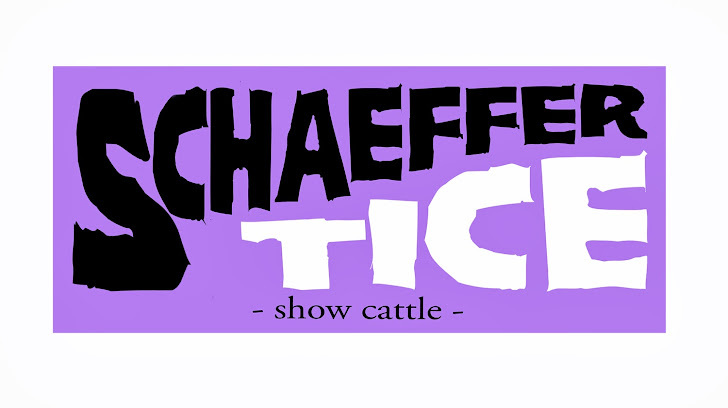 We are excited about this brand new, up and coming donor at Schaeffer/Tice. This is one you will not want to miss out on. 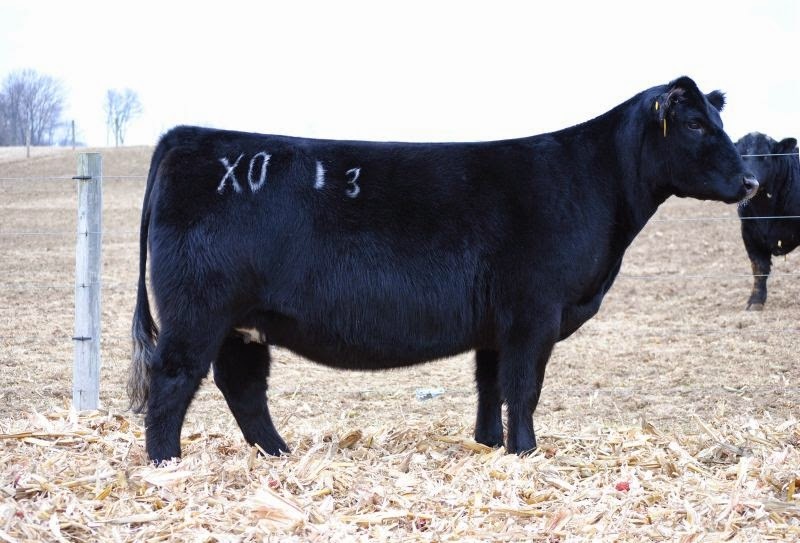 This mating could easily be the buy of the year and an added boost to take anyone's program to another level. 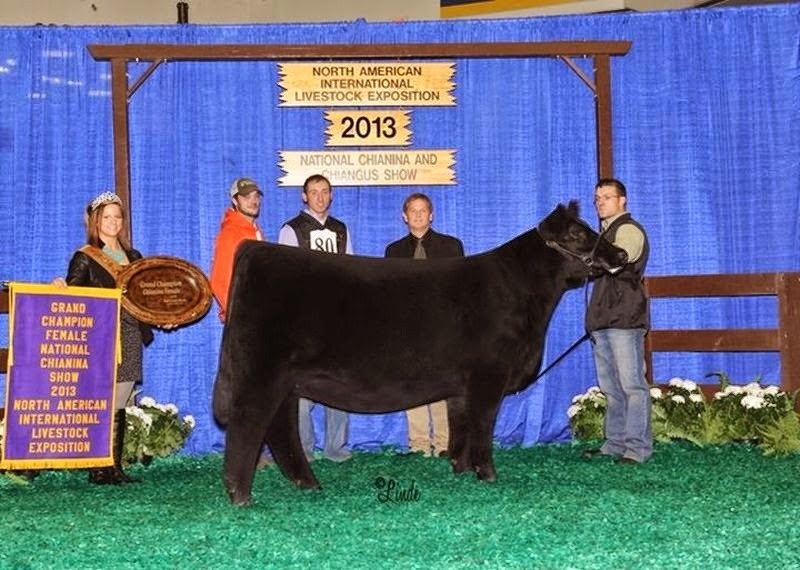 JSUL Who Dat Lady just finished off her show career claiming National Champion Female at the North American. Not many more years left to get your hands on this particular, hot commodities and quite possibly the last. K1 has proven so much for the Schaeffer program and this year easily could have been the best yet. If your searching for a no miss mating that comes as close to any as money in your hand, then this is the lot for you. 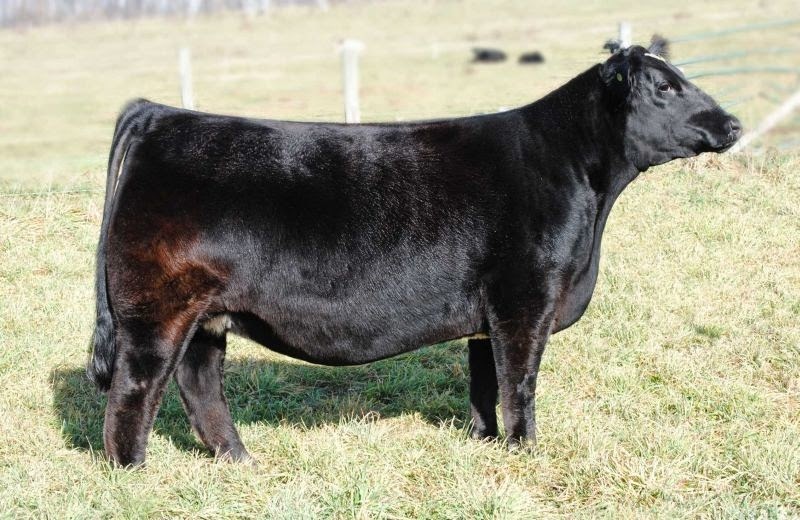 Smarty Pants is known to crank them out, and with the mating to the upcoming Fu Man Chu has these embryos prepared for excellence. Maternal greatness from two legends offered to you here. What an opportunity these eggs bring to the table and with a large group implanted at Schaeffer's for ourselves, it hard to contain our excitement for these. Hot off her record breaking sale at the Frozen Gold selling for a all time high of $61,000 for half interest, we're not the only one's excited for her matings… and you should be too. 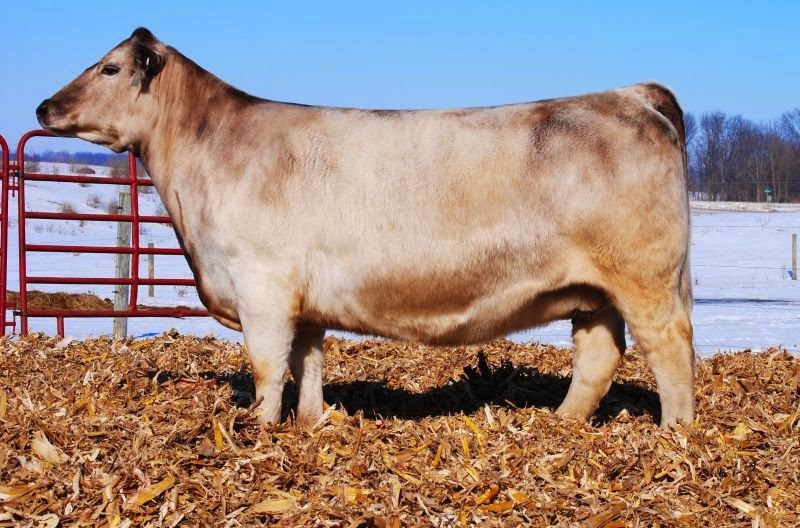 There is no one in the cattle industry that dislikes a bald faced cow that has a notch added hair, body, right structure and the true amount of muscle needed to excel. If there is question in what you are looking for, this is your answer, proven that this kind flat work. There is not a single mating in this offering we will not utilize as much as we can. 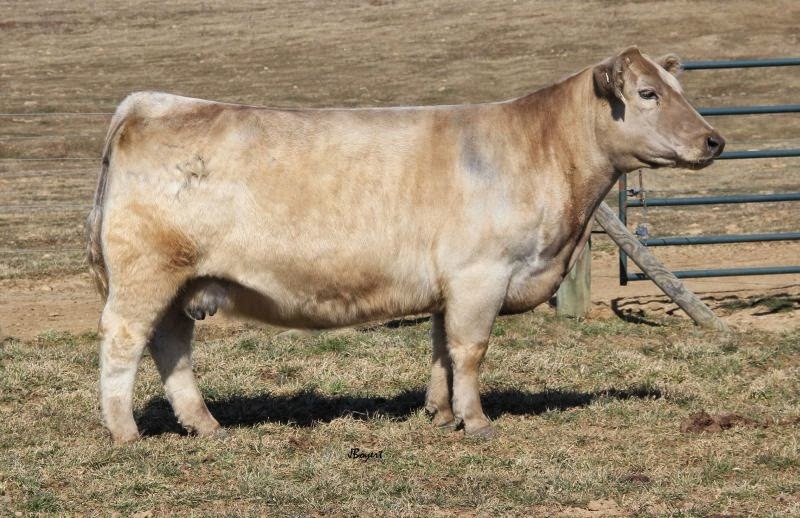 This mating itself might have me as excited as any to see what kind of elite cattle we can raise here on the farm knowing Victoria has already raised a $10,000 Whiskey bred, along with $15,000 and $12,500 heifer calves. She's back and better than ever. 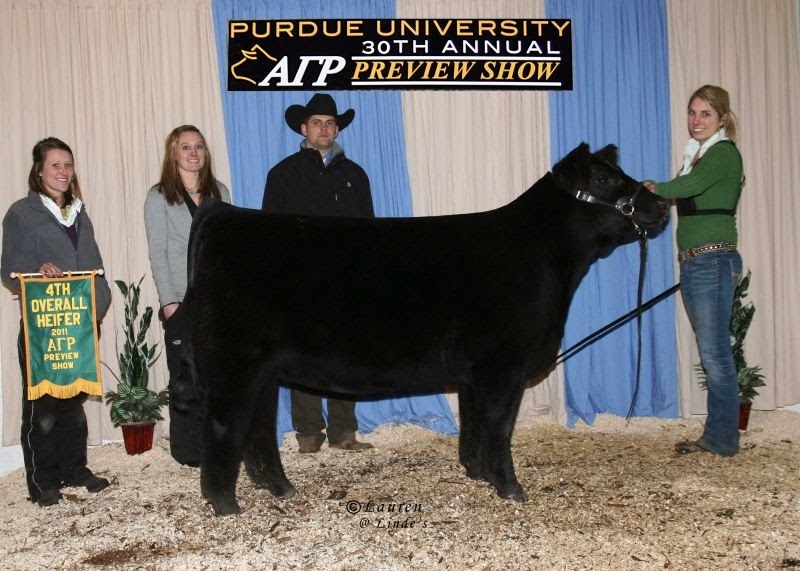 After seeing her matings hit the ground, we knew we couldn't keep her out of this sale. These chunks are definitely a highlight in the pasture this spring and sure will be highlighted on our ads and upcoming fall sale. 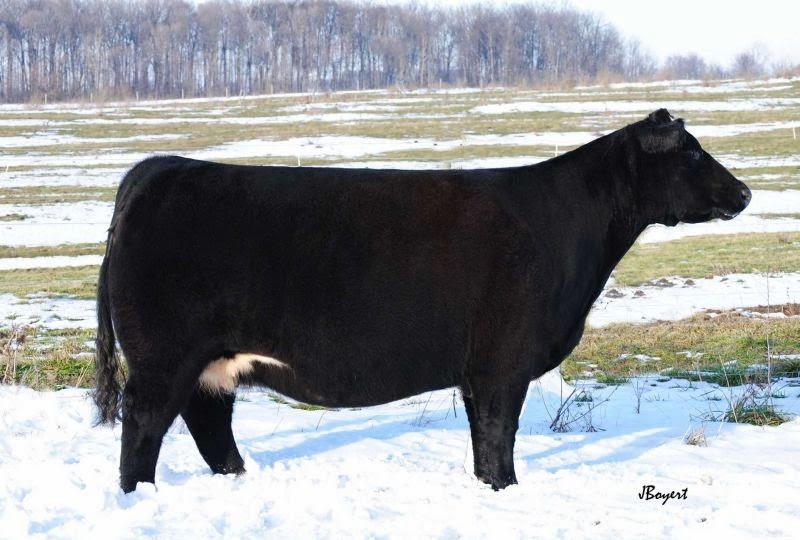 The Maine, Simmy, Angus combo has worked exceptionally well for us and this mating brings out the best of both worlds. I am willing to bet after these calves hit the ground this donor will be topping more high sellers list then Nicki herself. I can't guarantee what color these beasts are going to be, but I will bet you money on how good they will look. 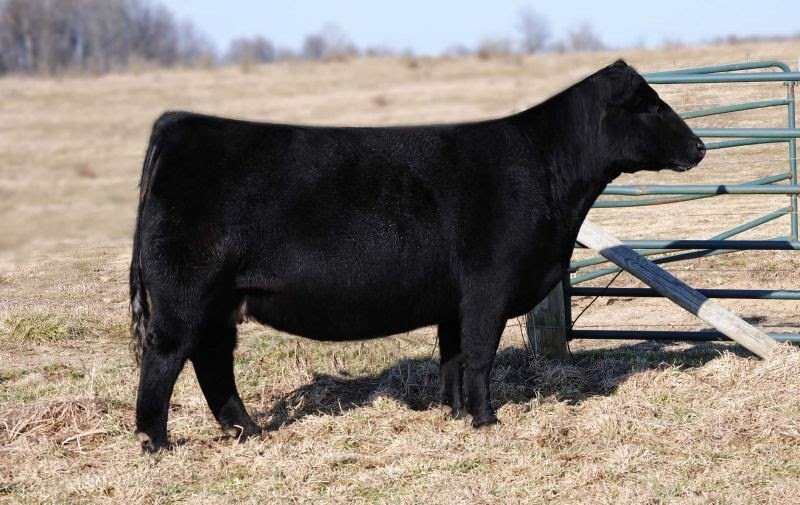 With the desire to make the cattle a little more extended and pulled apart while still maintaining the right width, dimension, and center body, has me excited to match these youngsters together. If you like them stout, sound, cool made, extra hairy, on a huge foot and bone then we have got the mating for you. Male or female here the only ones that will be holding their head down will be the contending bidder. Beyonce is starting to cement herself here as one of our mainstay top producers after laying down two consecutive calf crops of high sellers. The set running around Hagerstown now is her best yet. 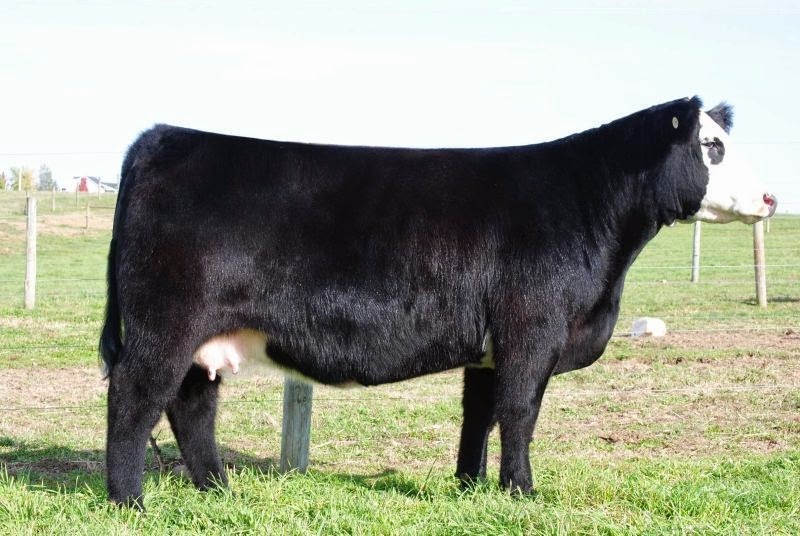 Beyonce is climbing the ranks of yearly earnings selling calves for $20,00, $10,000, as well as averaging $7,000 on three Monopoly's sold last year. 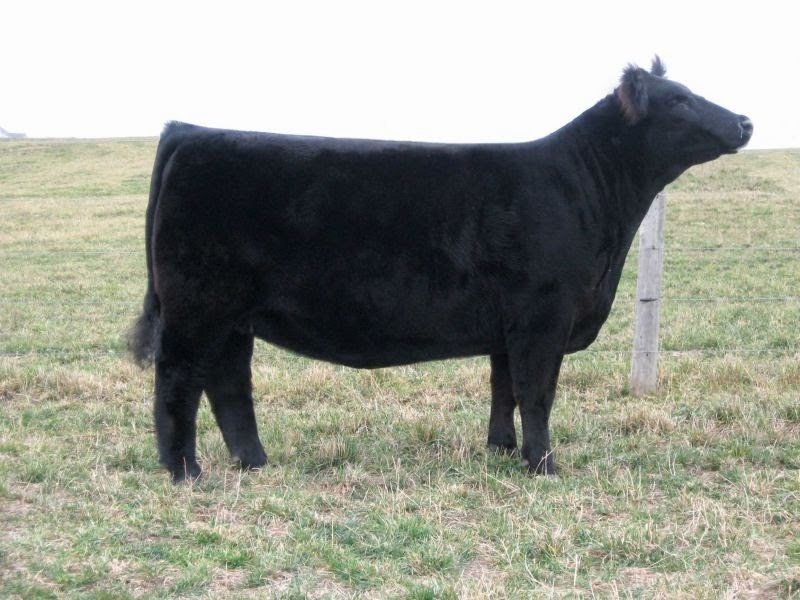 Already proven to work with calves selling for $8000 and $6000 like the one pictured here, takes all the guess work out as we offer up some of the time tested packages in this lot. This donor can raise them with the best and mainly for her proven productive line she comes from. 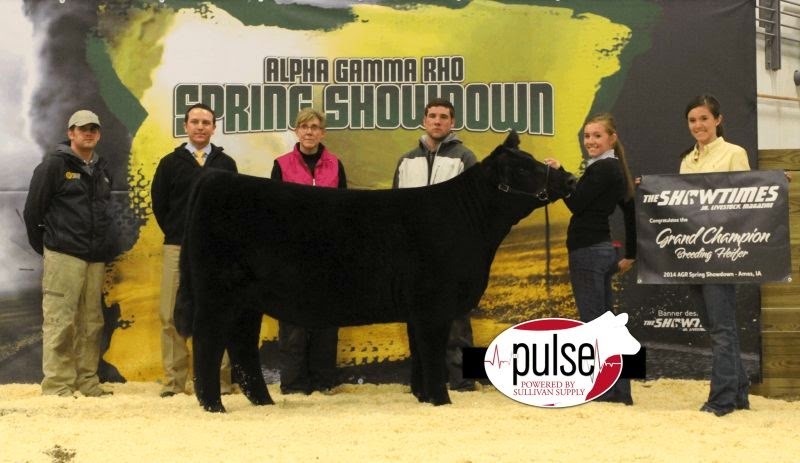 I love this mating for many reasons and not just because P29 has grossed over $500,000 in total sales. 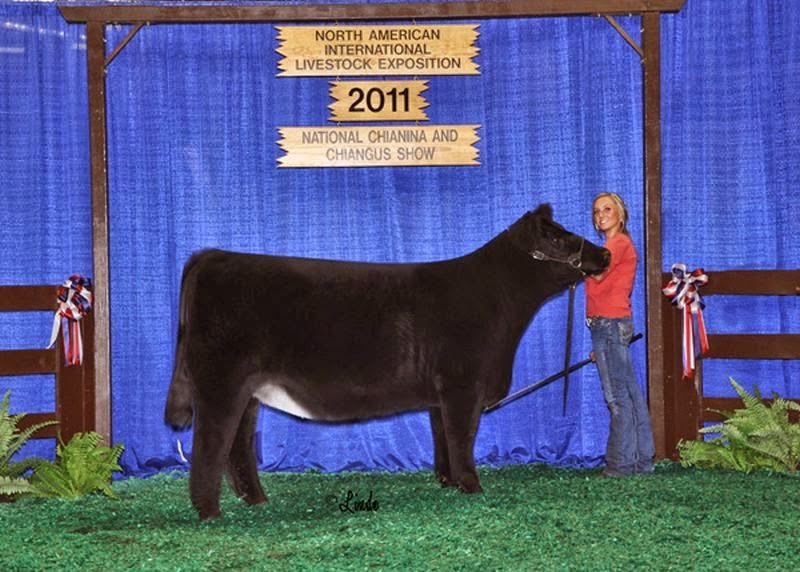 She has laid down so many donor females and show champions herself, many of which were sired by Angus. If your solely searching for the right halfblood females to impact your program for years to come, I would highly suggest you pay attention here. If your needing a much added boost to your crop next year and wanting more potential returns on both your heifer and steer crop, I would strongly recommend tuning into this lot. 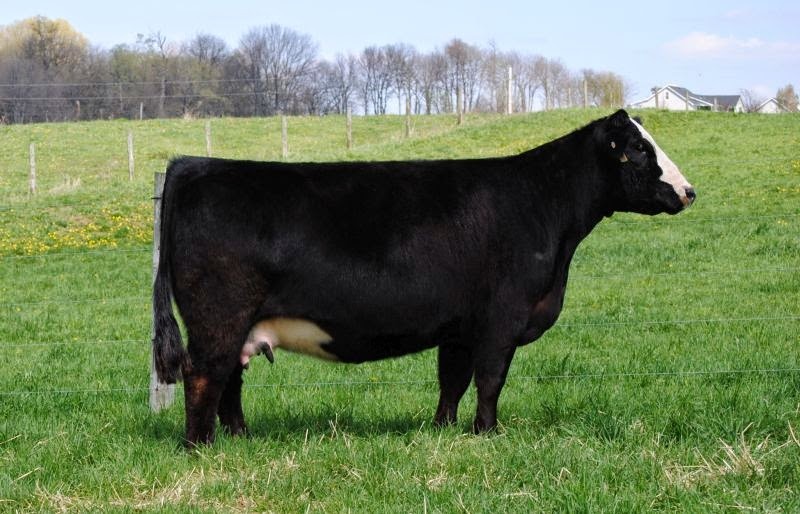 You might get a calf with some paint that resembles a painted egg, but man will they be stout, sound, hairy with the right look and structure to turn any buyers/judges head next spring and fall. One of the newest donors in our line-up, but one of the quick favorites. 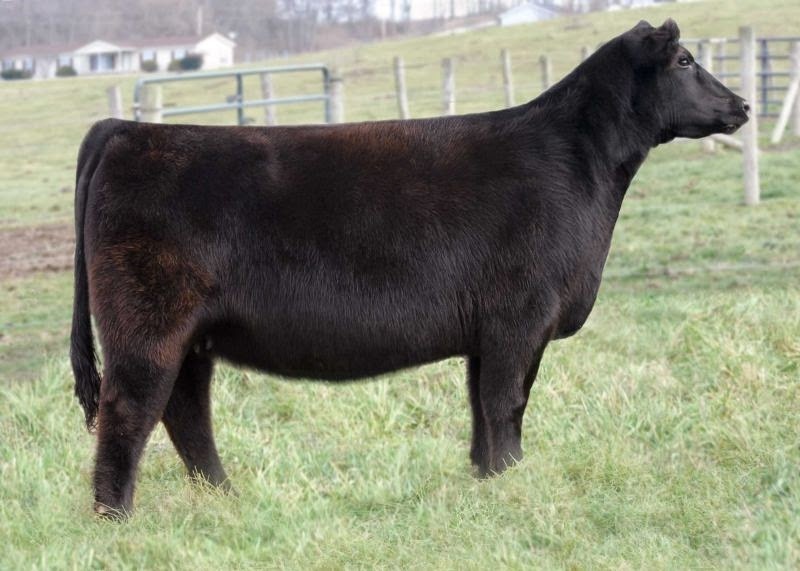 Fergie has laid down a $6000, $8500, $7500 set of calves and most impressively she has had only three, you do the math. Everyone is always looking for a cheaper way to get their feet in the door, here is your way. Jump on the rocket ship for this one. The sky is the limit and these eggs are heading to the stars!! Lexie has laid down two natural calves so far selling for an average of $25,000 ($35,000 and $15,000 respectively) wight he first set of ET's just now hitting the ground. 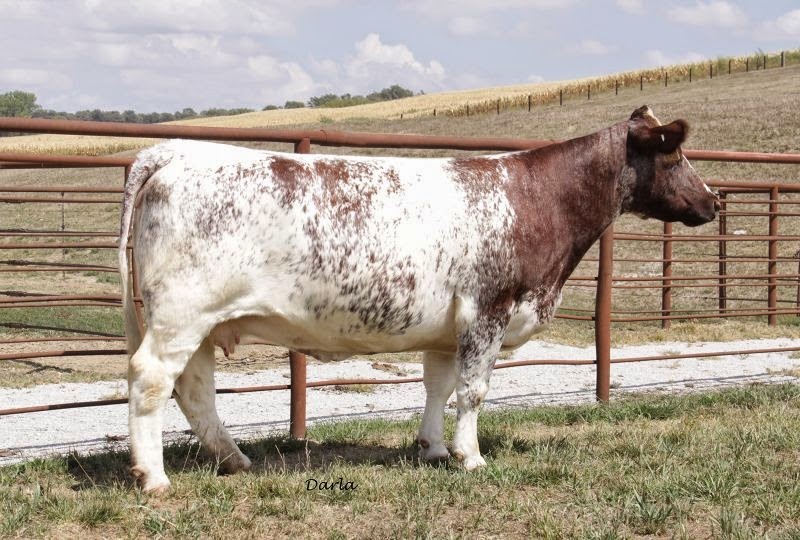 This cow has left an impact on this breed in many ways with her biggest accomplishments, her son SULL Roan Blast who is proving himself to be a leader in the breed to raise some of the very best appendix cattle. First offering from the popular baldy Spice Girl to add to this already sugar coated offering. 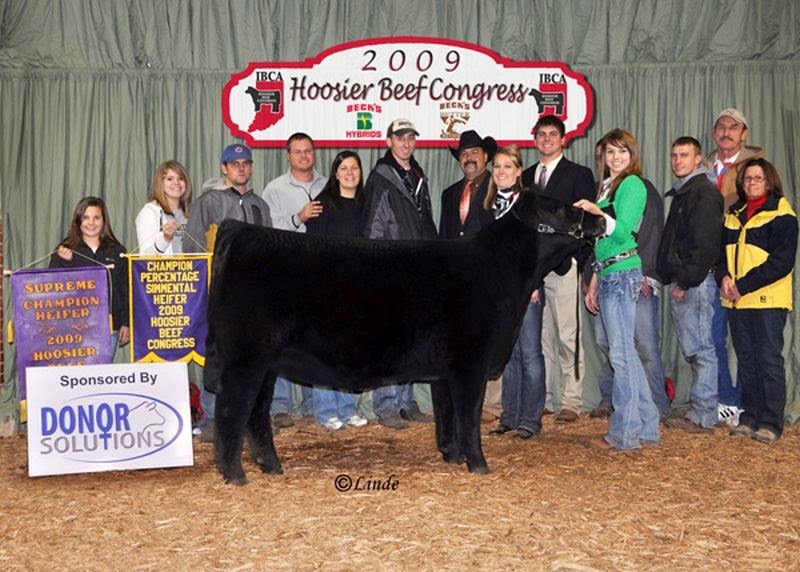 This female was successfully campaigned by Megan Craig and claimed many titles like Champion Chi and 3rd Overall KILE as well as division Champion Indiana State Fair and North American Chianina Show. We are bringing out all of the goodies for this upcoming sale and this package is sure to be one of the sweetest. It's wouldn't be an elite sale if we didn't offer a package out of one of the most productive, prolific donors in Nat and I's line-up. 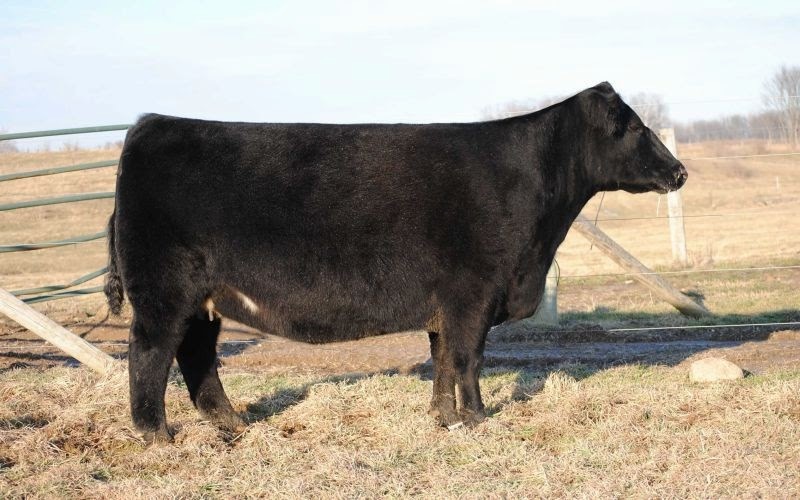 Tamale 758's track record is one of the best with production results reaching $$250,000 in total sales. 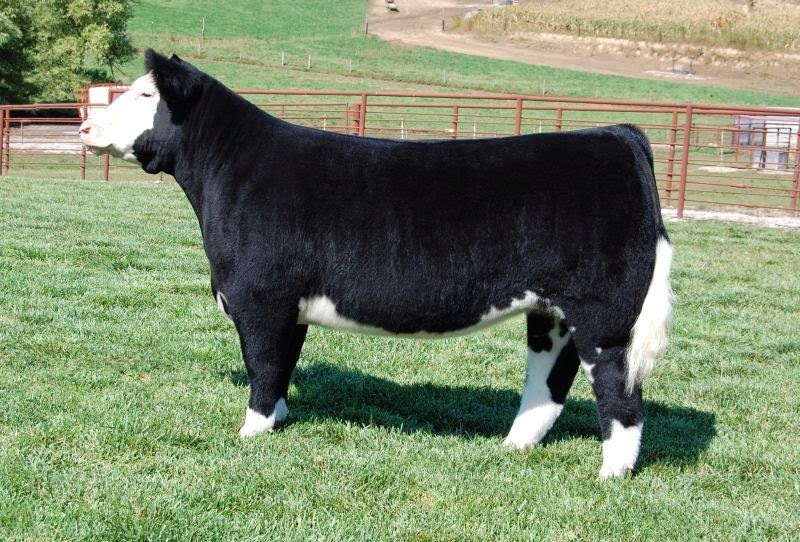 Head on over to cwcattlesales.com and let the bidding begin. Fell free to contact us with any questions or help we can advise you. You don't want someone else to steal your golden eggs. Happy Easter!